From here, there is failure and there is success. There is no middle ground. From here, the Tampa Bay Lightning lifts the Stanley Cup. Or it drops a trophy on its toes. The regular season is all but gone now, and the resume gets better and better. Which means the Lightning makes it to the other side, or it spends the off-season explaining what went wrong. There is no other option. They win it, or they are crashing under-achievers. As far as the soon-to-be-over regular season (it concludes Saturday), it could hardly be more glittering. The Lightning won their 61st game of the season Thursday night -- the second most in NHL history -- with a 3-1 decision against Toronto. Tampa Bay’s 126 points are the fifth-most all-time in a single season in the NHL. The Lightning’s 29 road wins are the second-most in a single season in league history. Tampa Bay can tie the 95-96 Red Wings for the most all-time wins in the regular season with a victory over Boston on Saturday. The Bolts will finish the season with three 40-goal scorers. 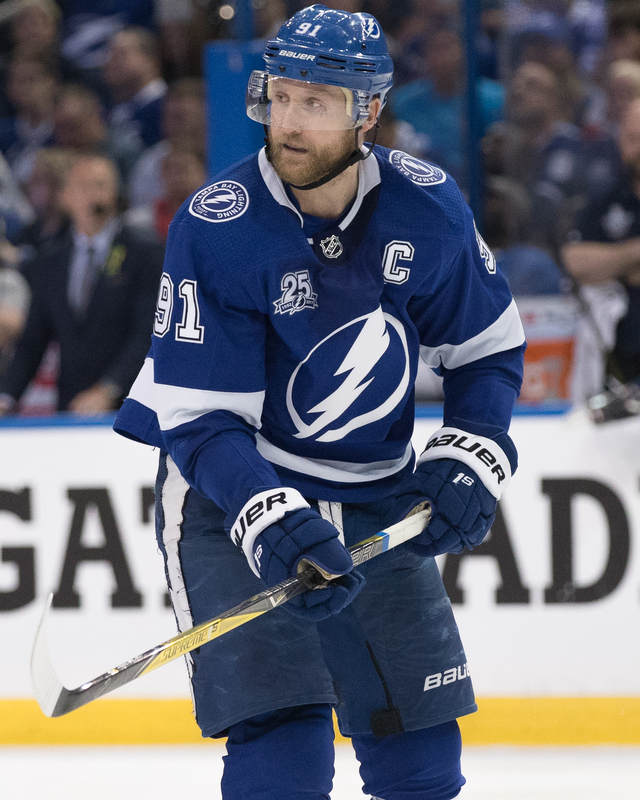 Steven Stamkos is fourth in the league with 44 goals after scoring Thursday. Nikita Kucherov, who had an empty-net goal, is tied for 10th at 40. Brayden Point is tied for sixth at 41 goals. Alex Killorn also scored for the Lightning. The Bolts are 18-1-1 in games following a loss this season. Stamkos has now scored nine goals in nine games. Since Feb. 1, Stamkos has 16 goals and 21 assists. 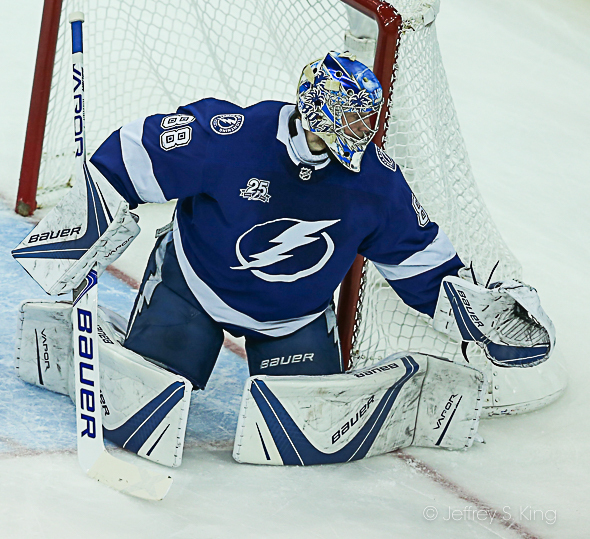 Andrei Vasilevskiy had a strong game, stopping 29 shots. He has won 39 games this season, most in the NHL, to go along with his 44 from a year ago. The Bolts finish their season Saturday against Boston. The puck is scheduled to drop at 1 p.m.
Great match up! And Boston should be a test for everyone! The Lightning could use a win in this one just for the momentum! Go Bolts! Winning is always better than losing, even in a meaningless season-closer. We’d like to see a sharp finish. But remember, the next series is more important. It doesn’t get much better than this for the Lightning in the regular season. But like you said if they don’t win the Cup the season will be considered a failure. That somehow doesn’t seem quite right. Starting next week all the playoff teams are 0-0 and the Lightning have to prove themselves all over again. It doesn’t help that some key injuries are popping up. If Hedman is not ready to go or is limited that’s going to be an issue. The playoffs will test the Lighting depth which has been excellent all year. We know the Lighting are the best team but the fact that so many President’s trophy winners did not win the Stanley Cup is no fluke. The Lightning will have to play their best hockey to win it.